This entry was posted in Records, CDs and anything to review that i want toooooooooooooo!! 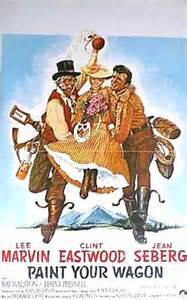 and tagged 1969 films, Art, clint eastwood, musical, Paint Your Wagon, postaday. Bookmark the permalink.